This article examines citizens' use of the Internet as a popular feedback mechanism, and argues that it can help improve institutional performance. Specifically, it assesses the relationship between Internet penetration rate and public service delivery across 31 first-level administrative divisions in People's Republic of China from 1997 to 2014. A hierarchical linear modelling was conducted using secondary data released by the National Bureau of Statistics and the China Internet Network Information Centre. The result shows a positive relationship between Internet penetration rate and public service delivery when controlling for GDP per capita and education level. The positive relationship increases over time in general. 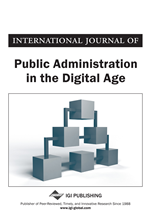 The implications of Internet use for performance-based legitimacy and its impact on political change (or stability) in the authoritarian context are further discussed. During the past twenty years, the world has witnessed the exponential growth of the Internet. With the rise of social media platforms in particular, the Internet has transformed into networks of social ties (e.g., social network sites (SNS)) and common interests (e.g., online discussion forums) (boyd & Ellison, 2007; Zhang & Wang, 2010). Consequently, new forms of personalized public engagement have emerged, no longer requiring significant organizational resources nor a shared identity. Instead, people engage with public issues through decentralized content (co-)production and personalized expression that is centered around personal problems, lifestyles, and interests (Bennett & Segerberg, 2012). The structural designs and technological features of new media afford users to talk about public issues with various underlying mechanisms, ranging from liking and sharing online content and expressing one’s opinions, to social conversations and even occasional deliberations (Skoric & Zhu, 2015). New technologies therefore expand the repertoire of communicative practices, allowing for greater presence of grass-roots voices in the public space.